settembre | 2013 | . ::WoW Skins::. Special to our . ::WoW Skins::. VIP group members, we will run a new sale projekt from now on every week, starting to day, For one week, our whole Rosa & Paris skin line will be on sale for 30% percent off! In order to receive this very special sale price, you MUST be a .::WoW Skins::. VIP Group member and you MUST wear your . ::WoW Skins::: VIP Group tag while purchasing the skins. If you are not already a member of our VIP Group, then you really should consider joining. Yes, there is an initial join fee of 250L. However, this nominal group fee more than pays for itself! With group membership, you are entitled to special sales, group gifts, opportunity to join the MM and lucky boards, and a special week sale. Dont miss these gorgeous skins for a fantastic price, PLEASE NOTE THAT YOU MUST WEAR THE GROUP TAG BEFORE YOU BUY. we wont accept claims of your own errors. i want to thank you all for being part of wow skins group members! And for doing this i just put out THE NEW SKIN CRISTY , ONLY 50L! Skin come with cleavage option, slink,lush,lolas/phat azz appliers! see you at the mainstore!
. ::WoW Skins::. @ Fatpack event! 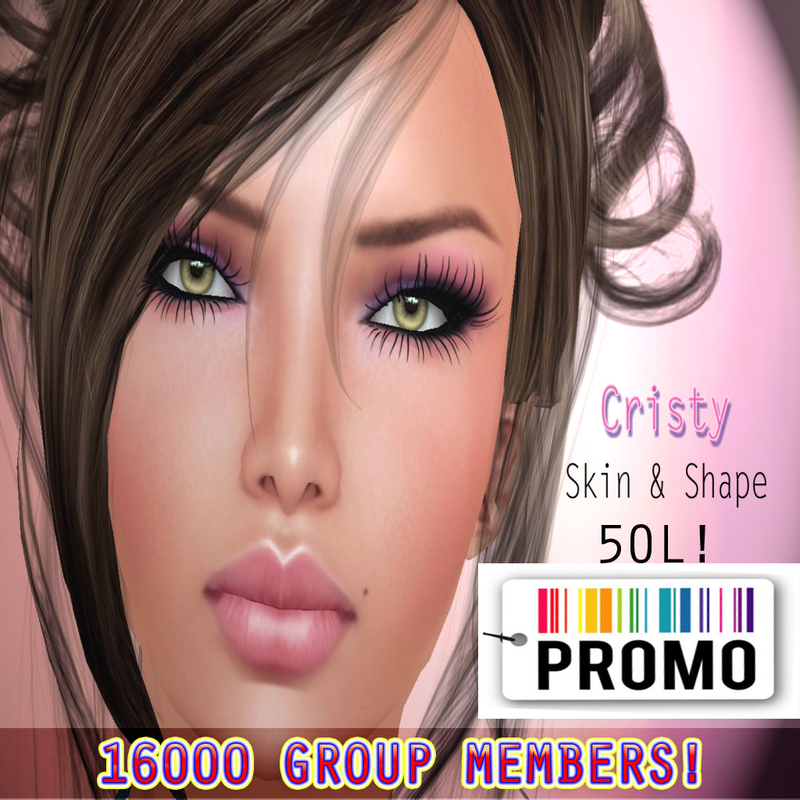 There is a new event out there, Fatpack week event, wow skins reserved for you a great opportunity, you can get the full pack of Justine tan skin (shape included), normal coast 2000L, ONLY 299L!!! And the fatpack of Linda skin, 3 skin tones, and all the kind of appliers”! 299L instead of 1500! Demo are availble. I have added to my new group gift of september, the slink mesh hands and feets appliers, lush/lolas tango appliers, and the new phat azz applier. Come get the updated group gift! 3 skin tones, Milk, tan and deeptan, cleavage option, eyebrow shaper, lolas tango appliers, lush appliers, slink mesh hands and feets applier and the new phat azz applier! of course you can try a demo of it. 100L ONLY! Come in a milk tone, cleavage option, eyebrow base, you can also get the lolas/lush mesh breast applier, slink mesh hands and feets appliers, and the new Phat azz applier as well. of course a demo is availbe.